In what appeared to be a renewed hostility between two regional socio-cultural groups, the Yoruba Council of Elders (YCE) of the South West and the Arewa Consultative Forum (ACF) of the North, the Secretary General of the YCE, Dr. Kunle Olajide, has replied the North, claiming that it is Nigeria’s problem. YCE’s claim was in response to a statement made by the Chairman of the ACF, Alhaji Ibrahim Coomassie, in which the latter said that Nigeria would not survive without the North. YCE has insisted that the rest of Nigeria will survive, flourish and join the league of first world countries within two decades, if the North exits. Olajide, who was the Chairman on the occasion, said the North was home to the Boko Haram, which is costing the Nigerian government billions of naira, religious crisis, killer herdsmen, as well as numerous negative indices of quality of life. “The newspapers reported the Arewa Consultative Forum as saying that Nigeria cannot survive without the North. Whatever was meant by that statement credited to the ACF Chairman remains to be understood. “Illiteracy rate is highest in the north and the number of out-of-school children is highest in the north. The poverty index in the north is high while the twin evil bedeviling the North is feudalism and religious fatalism. “It will not be out of place to say the north has in fact been dragging Nigeria down since independence. All sorts of mischievous phrases were coined by the very tiny political/military elite of the north to give undue advantage to the North,” the YCE Secretary said. Olajide said the late Obafemi Awolowo spent the greater part of his political career and his resources struggling to liberate the people in the North. “However, I congratulate him for accepting that the North as it is today represents all that is wrong with Nigeria. The northeast is ravaged by insurgency costing the country billions of dollars annually. The northwest is home to religious crisis, the north-central is ravaged by herdsmen of northern extraction. “Collectively the north is home to all negative indices of the quality of life. Infant mortality rate is highest in the North. “It will not be out of place to say the north has in fact been dragging Nigeria down since independence. All sorts of mischievous phrases were coined by the very tiny political/military elite of the North to give undue advantage to the North,” he said. According to Olajide, the North staged managed the military coup, which removed former President Shehu Shagari from power on December 31, 1983. He stated that the northern oligarch feared that there could be revolution in the country and they allegedly planned the coup with the military in order to ensure that power remained in the North. 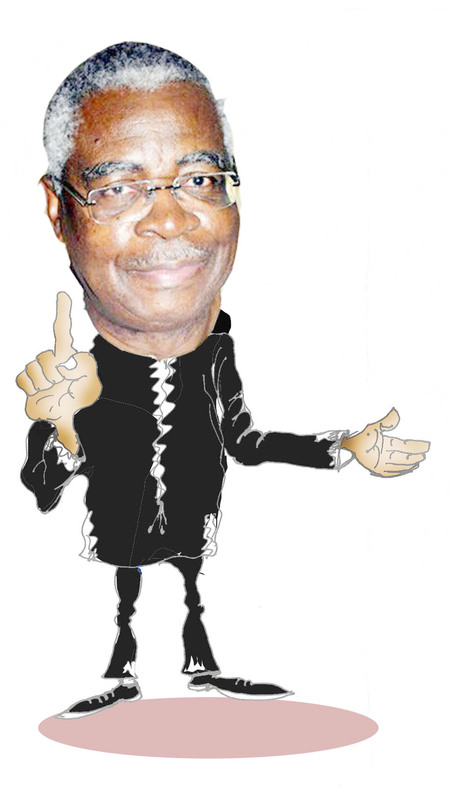 “Let me assure Alhaji Coomassie that much as we want a fair and egalitarian Nigerian society, it is not at all costs. The rest of Nigeria will survive, flourish and join the league of first world countries within two decades if the North exits. If it desires to leave Nigeria, join me in saying goodbye to the exiting North, I wish them a safe journey into the desert,” he said.